The Smart Cycling Program is a great opportunity to learn how to ride your bike safely! League-Certified instructors will share their wealth of knowledge and make sure you leave feeling comfortable riding on the road and in traffic. This classroom session covers bicycling and the law, crashes and how to avoid them, as well as how to drive your bike safely in a variety of road, traffic, and weather conditions day or night. League Certified Instructors have extensive commuting, touring, group and club riding experience. All levels of experience will benefit from this program. 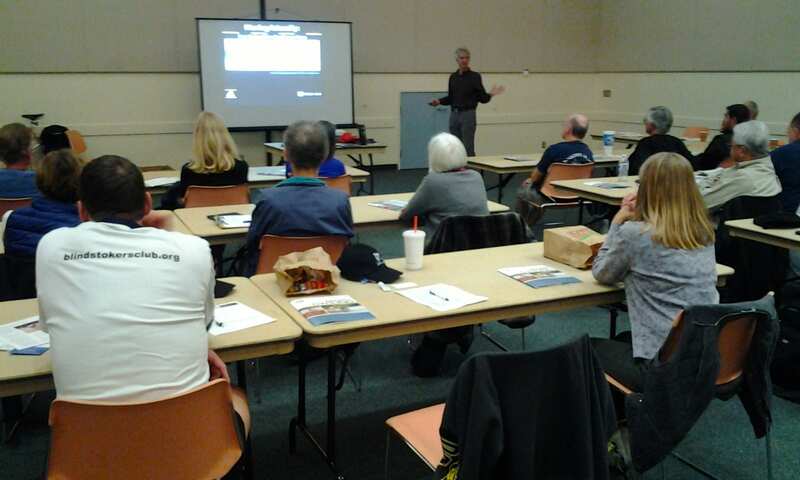 To earn a certificate from the Smart Cycling Program, which is certified by the League of American Bicyclists, you must also take the Smart Cycling Road Session. The classroom session is a pre-requisite to the road session, offered on a separate day. Click here for more information on the Road Session.